There are many options for financing home improvements. Review each one and consider the pros and cons. Then, you can make the right choice based on your budget and situation. If you have enough equity in your home, explore taking out a home equity loan. While it is considered a second mortgage, this type of loan is a secured loan based on the value of your home. This loan can be used at your discretion and the interest rate is usually lower than the APR (annual percentage rate) for credit cards. The loan also has a fixed rate, meaning each payment goes toward both the principal and interest. You'll receive a lump sum payment; this allows you to dole out the money as needed for your home improvement project. Lenders are more likely to approve a home equity loan since your home is the collateral. The main con for a home equity loan is that it ties up the equity of your home. Should you need to sell your home before you pay off the equity loan, you typically can't recoup the equity. A home equity line of credit with the bank may be a better option. This grants you access to the entire equity of your home without needing to receive the money in a lump sum. Like a home equity loan, this type of loan can be used at your discretion. The draw period can be up to 20 years for withdrawing the money as you need it.This type of loan usually has fewer costs paid upfront than traditional home equity loans and it doesn't convert to a loan repayment plan until you've used the full line of credit. For short-term cost control, it's helpful that some lenders only require interest payments during the draw period. When taking out a home equity line of credit, bear in mind that some lenders still charge origination fees. They may also charge annual fees during draw periods. The HomePath Renovations Mortgage is an option for anyone who wants to buy a Fannie Mae REO (Real Estate Owned) division fixer-upper. This mortgage factors in the cost of the home plus the necessary renovations. The cost of the renovations is included in your monthly mortgage payment. You can purchase a home that is typically below market value. With the renovations, you may be able to build home equity instantly. Since the purchase cost and the renovation cost are rolled into one mortgage, payments are simplified. Home inventory can fluctuate, and you may not be able to find a house you want in the area you desire. Also, not all lenders are Fannie Mae approved, so you may not be able to use the mortgage lender of your choice. The Rural Development home repair and renovations program Section 504 is available to very-low-income homeowners. Applicants receive loans or grants to improve, repair or modernize their homes. These loans have a fixed rate of just 1 percent. If you can't acquire affordable credit, you may qualify for this program. If you're at least 62 years old and can't repay a typical loan, you may qualify for a loan or government grant. Approval depends on funding that is available for your area at the time you apply. The FHA 203(k) (Federal Housing Administration) allows you to add renovation costs to your mortgage. According to Bank Rate, there are two types of loans available. Limited 203(k): The repairs/improvements cannot be more than $35,000. Standard 203(k): The renovations/repairs will cost more than $35,000. If you don't have money for repairs and no home equity, or don't want to touch the equity, a 203(k) might be for you. Both types of 203(k) loans require $5,000 to be spent in the rehabilitation of your home and you can only use FHA approved lenders. Not all homes will qualify for FHA loans, and you must meet specific criteria overseen by HUD (United States Department of Housing and Urban Development). Title 1 loans are backed by the FHA and are for property improvements. $25,000 is the maximum amount for single family home loans or manufactured homes that have permanent foundations. $7,500 is the maximum amount available for mobile homes. Title 1 loans can be used along with 203(k) rehabilitation mortgages. The loan terms are from 12 to 20 years and there's no prepayment penalty. You must have lived on the property for a minimum of 90 days in order to qualify for this loan. 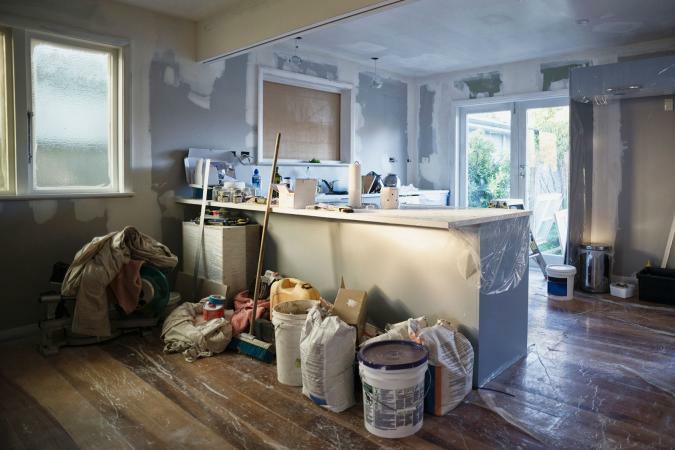 The maximum loan amounts may limit the scope of your renovation project. You can always give yourself a loan by borrowing against your 401K. This is a fairly safe way to borrow money since you're borrowing from and repaying to yourself. The process to receive your 401K loan is very simple and easy. If you default on repaying your 401K loan, you'll have to pay a 10 percent early distribution penalty, plus a 20 percent federal tax since 401K monies are tax deferred until used. If you leave your job prior to repaying your 401(K) loan, you typically have 60 days to pay it in full. Many contractors and subcontractors offer financing on their products and services, such as HVAC companies. 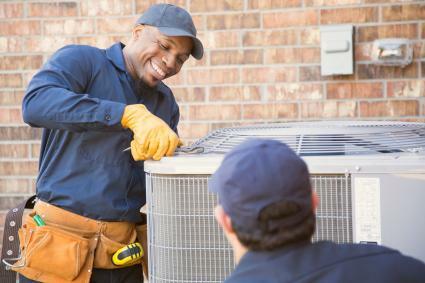 If you need to replace your HVAC system, you can usually finance through the HVAC company. The loan process is usually very quick and easy. If you opt for a more efficient system, you may be eligible for a cash rebate. Some power companies offer $500 or more in rebates once the HVAC system is installed and passes inspection. Some manufacturers and local governments also offer cash rebates on their HVAC systems and other energy-efficient appliances. In addition, your power bill usually decreases significantly. Receiving financing from a contractor will typically result in a higher interest rate than some loans. If you can't obtain a conventional loan, there are title companies that provide collateral loans. Only take out a collateral loan if you are certain you can pay it back according to the terms. For example, if you own your car, you can get a collateral loan up to the resale value. Some companies offer collateral loans using house furnishing or equipment. You can get a collateral loan fairly quickly even if your credit rating isn't what traditional lenders require. This type of collateral loan can be risky if there's the possibility you may default on the loan. If you do, you'll have to forfeit your car, furnishing, or equipment. The interest rates on this type of loan are also typically higher than a bank loan. There are many choices for financing when it comes to home improvements. If you do your research, you can end up with a loan that is perfect for your home improvement project.